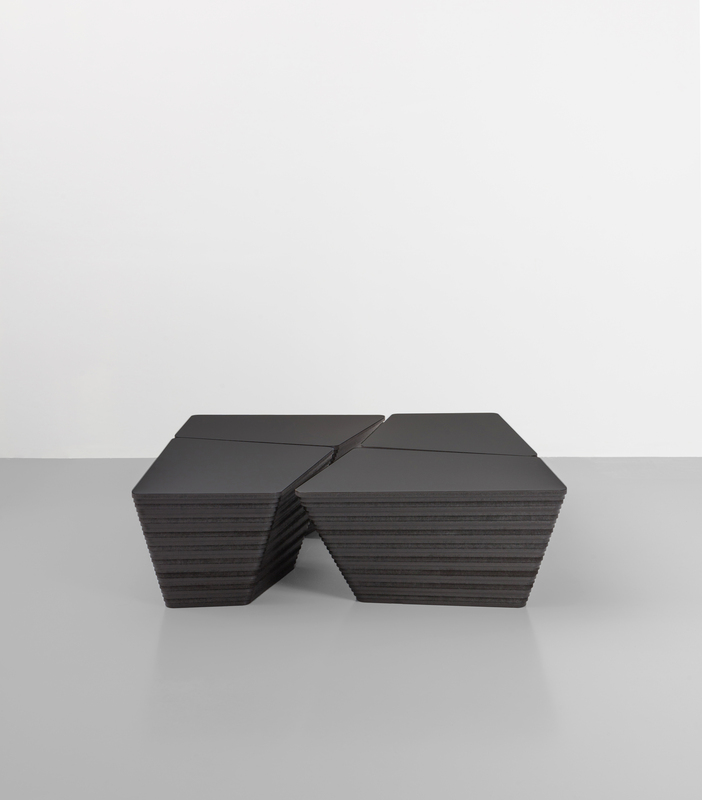 Stone design coffee table zwart l Kees Marcelis l Odesi. Your Dutch Design. 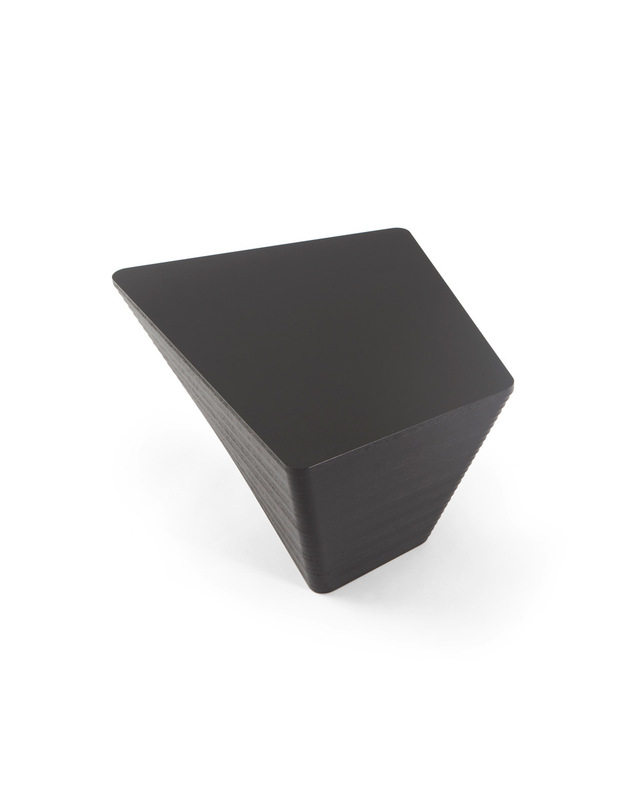 The Stone design coffee table in the matt black version gives great contrast in your interior. The Stone is a multifunctional design.This has to do with the different parts in which a Stone coffee table can be built. Four identical parts forms a larger coffee table. Each part weighs 12 kg. The Stone is based on the shape of a rock. By placing the identical elements together, in its totality the Stone forms a dynamic interplay of lines. The black underside of the Stone is made up of multiple layers of wood, each with a different shape. The layered construction and the stacked structure bring the design to life. Fenix ​​NTM makes up the top layer of the Stone, a material that is both durable and easy to maintain. 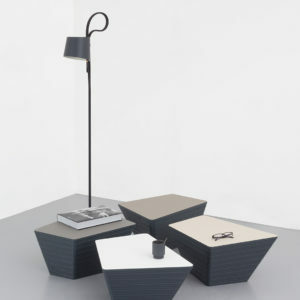 The Stone coffee table can be built with four identical elements. 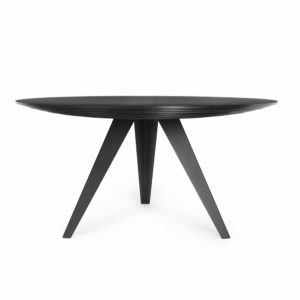 Each element can be used alone as a small coffee table or side table. 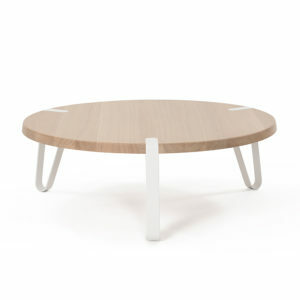 It is also possible to use two or three elements for building a bigger coffee table. A single element weighs around 12kg. 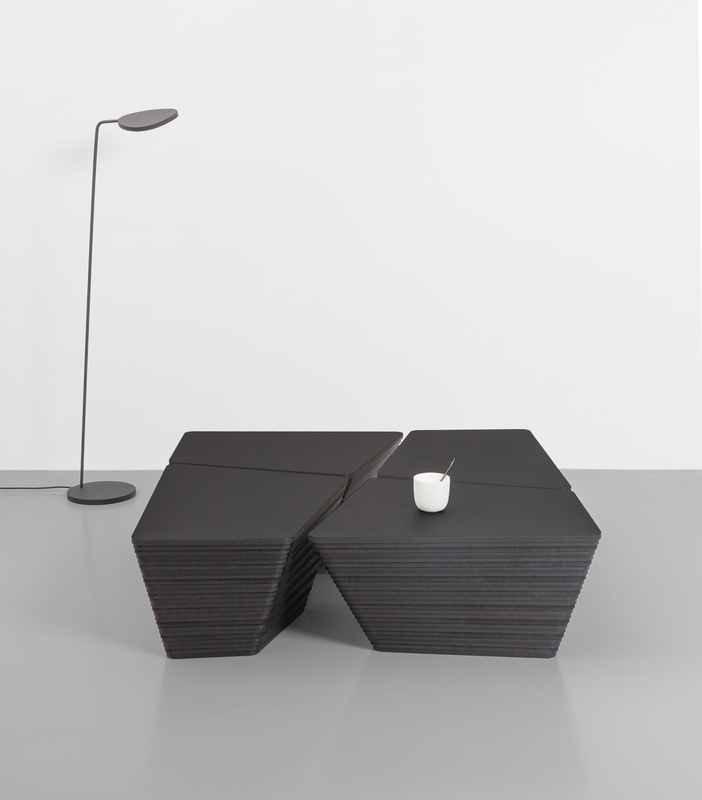 Four elements together form a well balance coffee table. This is the square formation with a star shaped space between the elements. For the Stone table top we have selected: Fenix NTM. 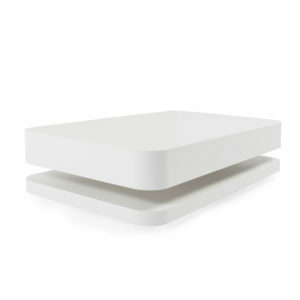 Fenix NTM contains the very newest nano technology and has a toughened top layer. 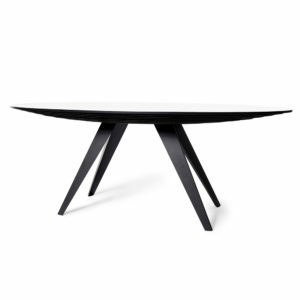 The surface feels extremely soft to the touch and is stain resistant. The top layer is antistatic, meaning that it attracts less dust than traditional materials. One of the most innovative features of Fenix NTM is that you can easily remove micro scratches using warmth. The stone can be used as a coffee table or as a side table. 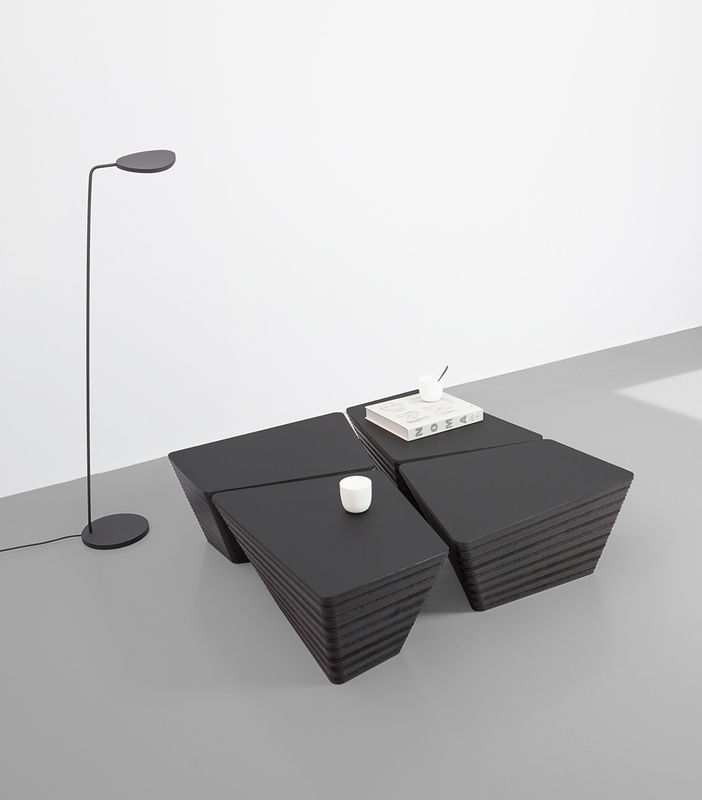 The elements can be used as modules to create a larger or smaller table. That is why you can buy the Stone as a single element. >Order your colour samples here.